Fairy Non-Bio Laundry Gel washing powder and laundry detergent review - Which? 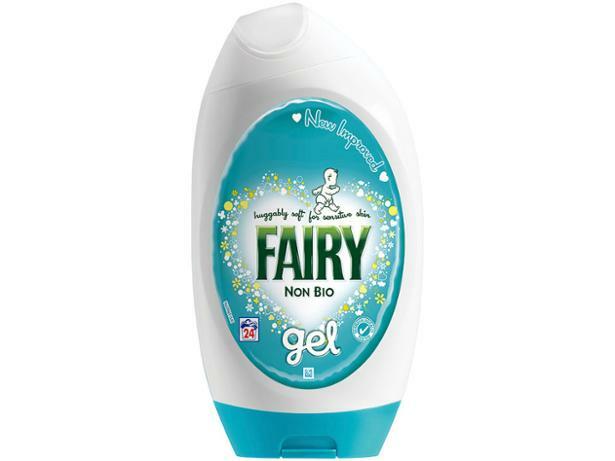 Fairy claims that its Non-Bio Gel keeps clothes gentle on skin and brilliantly clean. So we put it to the test on tricky stains, such as mud and red wine, to find out how it matches up to other liquid and gel laundry detergents. Take a look at our full test results for this Fairy laundry detergent to find out if it’s worth buying.